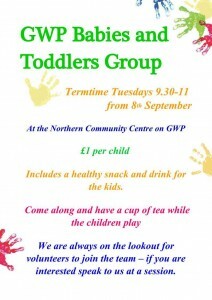 GWP Toddlers and Babies group are back from the 8th of September at 09.30 in the community centre. £1 per child includes a drink and healthy snack for the kids, a hot drink and biccies for adults. 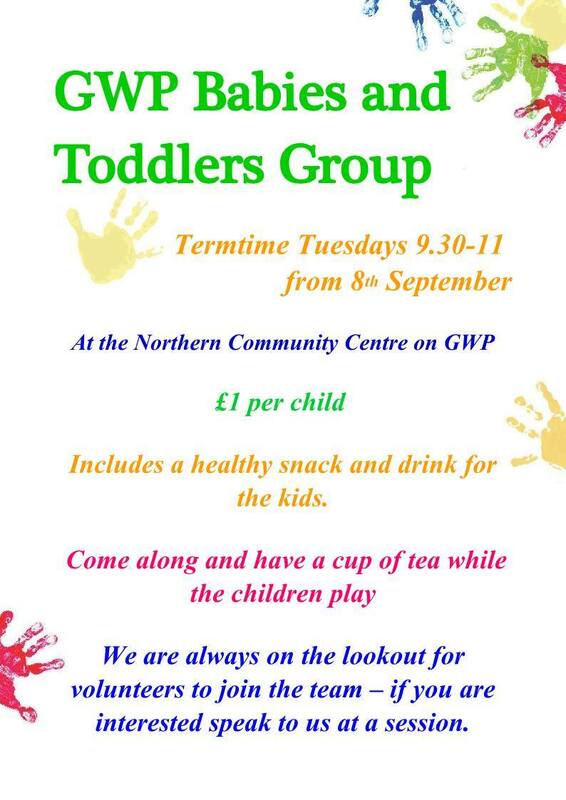 Come along and meet your neighbours while the kids play!